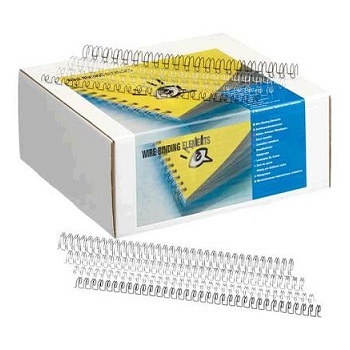 21 Loop Wire Combs for GBC/Ibico and Rexel wire binding machines. 6 mm width for up to 55 sheet capacity. 8 mm width for up to 70 sheet capacity. 10 mm width for up to 85 sheet capacity. 12 mm width for up to 100 sheet capacity. 14 mm width for up to 130 sheet capacity.